Good news for valve automation companies. ifm’s new smart valve sensor, the MVQ101, provides continuous position feedback and preventive maintenance diagnostics on quarter-turn valves. The sensor features built-in functions that can identify different wear conditions via IO-Link, ifm’s digital communication interface. For example, the sensor can indicate a change in the valve’s operation, which can be a warning that deposits are interfering with the valve’s ability to close or that the seal is wearing. Traditional temperature sensors are constructed from multiple components, assembled and calibrated together. The assembly and calibration of the components is time consuming and requires a high level of skill. These temperature instrument assemblies, due to their open design, are susceptible to moisture, corrosion and other environmental conditions which are a major cause for instrument stress. Furthermore, periodic maintenance for verification of calibration is needed, adding costs that directly affect profitability. IFM's innovative TA2 temperature instrument solves this problem. Constructed of 316 stainless steel, this fully laser welded, one piece hermetically sealed instrument is rated IP69K. There are no points of ingress to cause drift or damage the sensor and they are fully calibrated during manufacture and ready to use right out of the box. 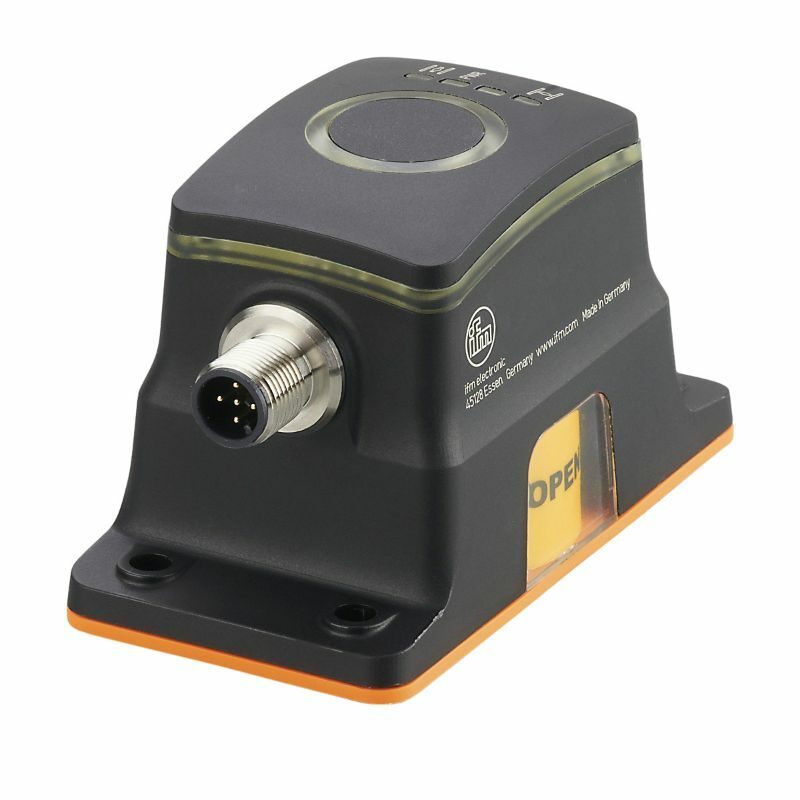 The sensor is pre-scaled in various popular ranges and fully scaleable to custom ranges using the IO-Link communication and programming tool. 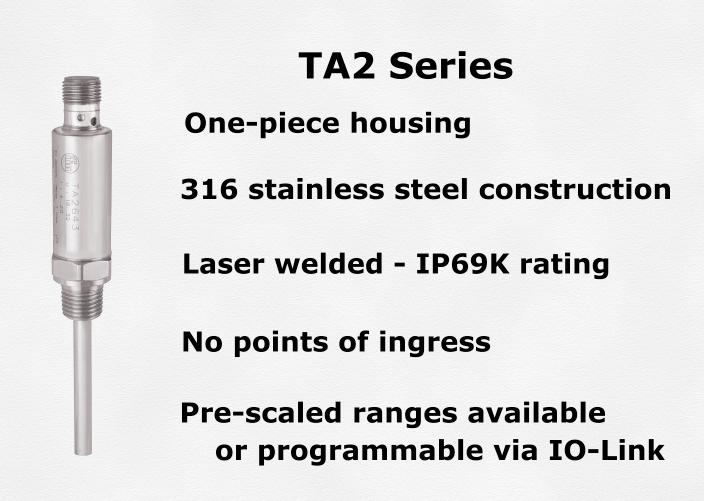 With a compact 3-1/4" diameter and 1-1/2" long housing, the TA2 installs into the tightest locations. A bright led located in the M12 connector gives visible indication that the sensor is operational. Wiring is conventional 2-wire loop power for easy installation. 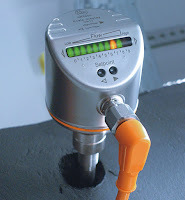 The IFM TA2 transmitter line is available both with standard threaded process connections for standard applications, and the popular sanitary process connection, for applications in the food and beverage industries. 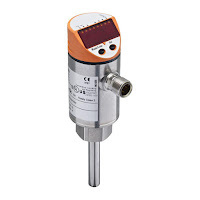 Finally, the TA2 temperature transmitters dramatically reduce response time. The standard fast response unit can react to 50% of the temperature change in less than 1.0 second, and just 3.0 seconds to 90%, while the ultrafast versions react in just 0.5 seconds and 1.0 seconds, respectively. 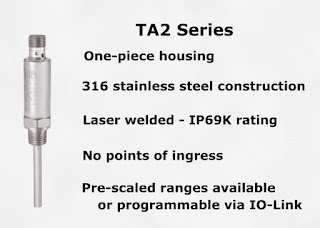 For more information on the IFM TA2, call TECO at 800-528-8997 or visit https://teco-inc.com. The ifm LR2750 level sensor provides precise, reliable medium detection in sanitary water-based applications, resistance of turbulence and suppression of foam. Featuring innovative guided wave radar (GWR) for level measurement, the LR2750 uses a probe to guide high frequency, low-energy pulses of electromagnetic waves from a transmitter down the probe into the media being measured in the tank. 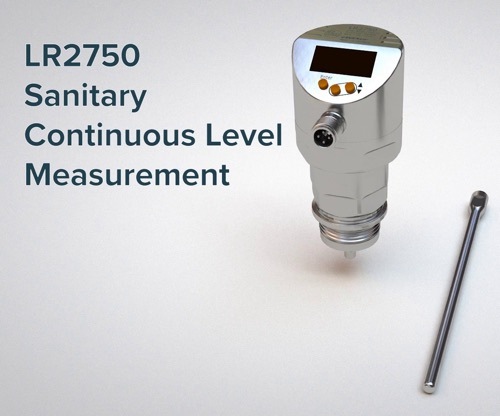 The LR2750 can be adapted to many sanitary process connections. It is ideal for smaller tanks or in areas with limited space. The LR2750 offers different probe lengths up to 2M, and the probe can also be cut to length. Constructed from FDA approved 316L stainless steel, PEEK, and Viton wetted parts. Excellent performance in high temperature operating ranges of up to 302 °F (150 °C). For more information on this, or any ifm product, contact Thompson Equipment (TECO) by calling 800-528-8997 or visiting https://www.teco-inc.com. In almost all fields of process and plant engineering liquids or gases are used. For coolant and lubricant supply of plant and machinery, ventilation of installations and buildings and the processing of products. In case of no flow of these media considerable damage and downtime may result. Therefore it is important to monitor these media. In modern installations electronic flow monitors are used for this purpose. They work without wear and tear and without mechanical components. This guarantees reliable monitoring even in case of difficult media over a long period. ifm, a leading manufacturer of industrial sensors and controls, offers a complete line of flow switches and meters. Check out the video below for more information on ifm flow sensors. Thanks for watching.